Thieves escaped with nearly $40,000 worth of diamond jewelry last night in another high-profile retail theft along the Magnificent Mile, police said. No one is in custody. 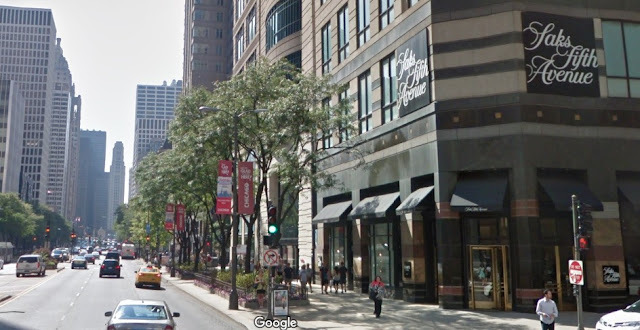 Around 8 p.m., a crew of three or four offenders made its way to the jewelry department at Saks Fifth Avenue, 700 North Michigan Avenue. Within moments, the team was running for the Michigan Avenue exit with two diamond necklaces: one valued at $9,000 and the other at $30,000, according to police. On March 30, a group of six thieves walked into Barney’s of New York, 15 West Oak, and ran out with armloads of high-end purses worth at least $25,000. The crew then stole a Lexus that was idling nearby and headed for the hills. 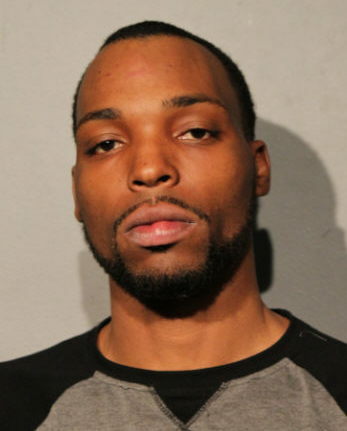 A police source told CWBChicago that the Barney's crew is the same team that crashed a car into an Indianapolis Saks Fifth Avenue to steal merchandise in late March. Police believe the crew operates out of the 7th (Englewood) Police District. Another Saks Fifth Avenue shoplifter did not fare as well as last night’s thieves when he allegedly tried to steal $3,050 worth of coats last Saturday morning. Ryan D. Rodgers, 26, was arrested about two blocks from the store after police noticed him walking down the street wearing two Moncler coats with price tags hanging from the sleeves, according to a police report. An investigation revealed that the coats had been stolen from Saks moments earlier, prosecutors said. Rodgers is charged with theft of lost or mislaid property. Judge Sophia Atcherson released him on a recognizance bond. State records show that Rodgers was sentenced to 6 years in prison in 2011 for armed robbery. He is currently on parole with a discharge date set for next Saturday. Police said in his arrest report that Rodgers is a member of the Black P Stones street gang.